In January 1885, three soldiers departed from Portland, Oregon, beginning a journey of discovery into the interior of Alaska. Major General Nelson Miles, commanding the Department of the Columbia, of which Alaska was part, had tasked a young second lieutenant of the 2d U.S. Cavalry to organize and lead an expedition into the wilderness of Alaska’s interior, the purpose being to gather ethnic and geographic data within the vast area of the Copper and the Tanana River drainages. While Lieutenant Henry Tureman Allen’s orders stipulated the Copper and Tanana Rivers as the primary areas of concern and suggested, but did not require, completion in one season, the extent of the area and the unknown character of so much of it called for a great deal of flexibility. On this point Allen’s orders contained the following statement: “…much must be left to your discretion and judgment and therefore regarding your movement after leaving Copper River no definite directions can be given you.” This was an enormous vote of confidence for a young officer with only three years service under his belt. Allen’s command was made up of Sergeant Cady Robertson of E Troop, 2d U.S. Cavalry, Private Frederick Fickett of the Signal Corps, and two civilian prospectors who joined the expedition in Alaska, Peder (Pete) Johnson and John Bremner. Throughout much of the expedition, the team was also assisted by various contingents of native guides who proved indispensable. This was not the first attempt to ascend the Copper River. There had been several Russian and a few American efforts, but none resulted in gathering and returning with significant information on the region. The Russians began exploring the Copper River as early as 1796, but only the last expedition in 1847 achieved a significant penetration of the area, and even that met with failure. An intrepid explorer named Sereberikoff along with a party of eleven assistants managed to get at least as far as present day Slana. Unfortunately he and his party perished and only some of his notes were ever recovered. One entry in Sereberikoff’s notes gave a latitude of 62 degrees, 48 minutes, 45 seconds, placing him just north of Slana, but no other notes or observations of the area between present day Glennallen and this last recorded position have been found. This left Allen with no information about the upper Copper River. Two trips were made up the river by C. G. Holt, a trader, in 1882, and John Bremner, the prospector, in 1884. Both these penetrations were commercial ventures and went as far as the junction of the Copper and Chitina rivers near the present day town of Chitina. Lieutenant William Abercrombie (2d U.S. Infantry) led an Army expedition in 1884, but this effort got no further than just above Childs Glacier. The other primary target of Allen’s expedition, the Tanana River, was virtually unknown. There had been a missionary trek about seventy-five miles upriver from the Yukon and there was a small trading post forty-eight miles upriver from the Yukon, but the only attempt to map the river was through an unsuccessful trip of 100 miles made by Arthur Harper of Lieutenant Frederick Schwatka’s (3d U.S. Cavalry) Yukon expedition in 1883. In a trip totaling nearly 1,600 miles, Lieutenant Allen and his team explored over 1,200 miles of previously unknown territory. It is true the natives had lived here for centuries and knew the land, but their knowledge was generally restricted to those areas they considered within their separate tribal domains, and not being recorded rendered this information of little value except in the form of guides. Lieutenant Allen also mapped close to 800 miles of the Chitina and Koyukuk Rivers the Chitina had never been explored, and the Russians had explored only the lower fifty-six miles of the Koyukuk. 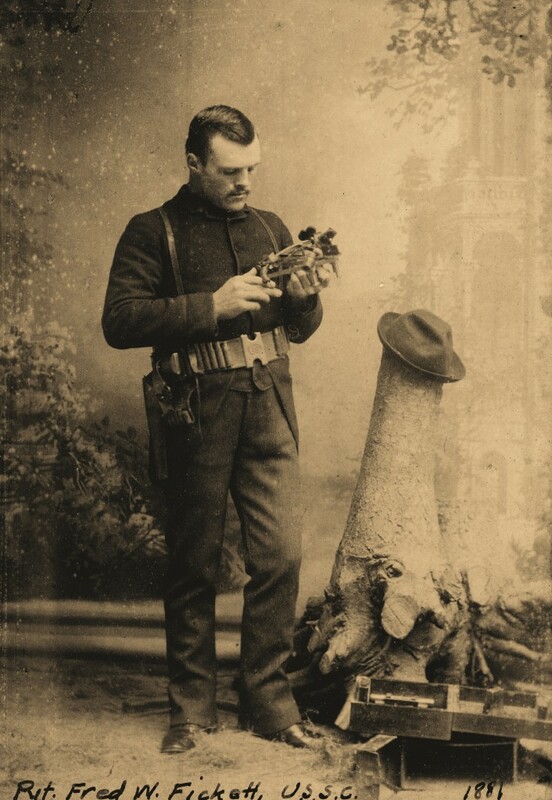 One of the primary tasks of Lieutenant Allen’s expedition was to study the natives of the interior. With growing levels of activity by whites in Alaska, the U. S. Government was worried that “…conflicting interests between the white people and Indians of the Territory may in the near future result in serious disturbances between the two races.” The federal government provided a broad catalog of questions that Allen was to address. They wanted to know who these people were. The Alaskans had been wards of the United States for less than two decades and little to nothing was known of the inhabitants of the interior. Allen was to ”…ascertain as far as practicable the number, character, and disposition of all natives living in that section of the country”. In addition to information on the Indians, Allen was also tasked with collecting geographic data of the interior. This information was to be focused on those aspects of terrain, flora, and fauna that would have an impact on military operations. He was specifically tasked to address such things as available forage for animals and the country’s ability to sustain a military force. Upon arriving in Nuchek on 19 March, Allen made final preparations for the trip. He had hoped to be there by the end of February but was unavoidably delayed. Here the party was joined by Peder (Pete) Johnson who proved to be a valuable addition to the team. Originally, they had planned to start up the Copper River by 1 March, taking advantage of the river ice to expedite travel by using sleds. As it turned out, they did not start until the end of March. Having taken a week to make the crossing from Nucheck to the Indian village of Alaganik at the mouth of the Copper River, Allen and his party were learning something of the difficulties to be faced traveling in Alaska. They had been paddling through rough water while dealing with rain and sleet since they left Nuchek. Adding to their woes was the difficulty of trying to move large boats through muddy tidal flats. At low tide, it was impossible, and on more than one occasion, they were stranded and forced to wade ashore in sticky mud up to their knees to await the next high tide. The party left Alaganik on 29 March. Allen decided to use canoes at this point, but took sleds along in case ice was encountered. On the second day of travel, he abandoned much of the stores including half of the ammunition, a tent, clothing, and some food. This was necessitated by the extreme difficulty in traveling through soft snow, broken ice, and fast flowing water. The party was now stripped down to about 350 pounds of food—not much for a party of four explorers and their seven native guides and porters. It was some 120 miles to the Chitina River. Unless food was obtained along the way, the expedition would be on short rations. On 1 April, the party reached Taral near the junction of the Copper and Chitina Rivers. They had worked their way past calving glaciers, strong rapids, and steep-sided canyons in completing the first leg of their journey. At this point, Lieutenant Allen dismissed the Eyak natives that had accompanied them from the coast. It was also here that John Bremner joined the expedition. With only 230 pounds of rations left to get them to the Yukon River, Allen’s men needed to find additional supplies of food. They were able to procure only twenty five dried salmon, ten of which they gave to a destitute native woman and her children. From here on, food would be of primary concern. After several days of hard travel, Allen’s party found the man they were looking for—Nicolai, the Tyone or headman of the region. At his camp located near the junction of the Chitistone and Nizina Rivers, they rested and were fed all the moose, rabbit, lynx, and beaver they could eat, nearly finishing off Nicolai’s cache of meat. With the help of Nicolai and his wives, they built a bidarka, or skin boat, of some twenty-seven feet in length. They started back to Taral on 28 April accompanied by Nicolai and his family. Aside from the relative luxury of floating downstream on the Chitina River, the trip down to Taral was much the same as the trip up to Nicolai’s had been—the one welcome exception being the addition of Dall sheep to the diet. The expedition left Taral and continued its trek up the Copper River on 6 May. The current of the river reached nine miles per hour in stretches, preventing paddling or poling against the current. This necessitated cordelling the bidarka, or towing it from the bank. Nicolai and some of his followers accompanied Allen as far as present day Glennallen, which they reached on 15 May. 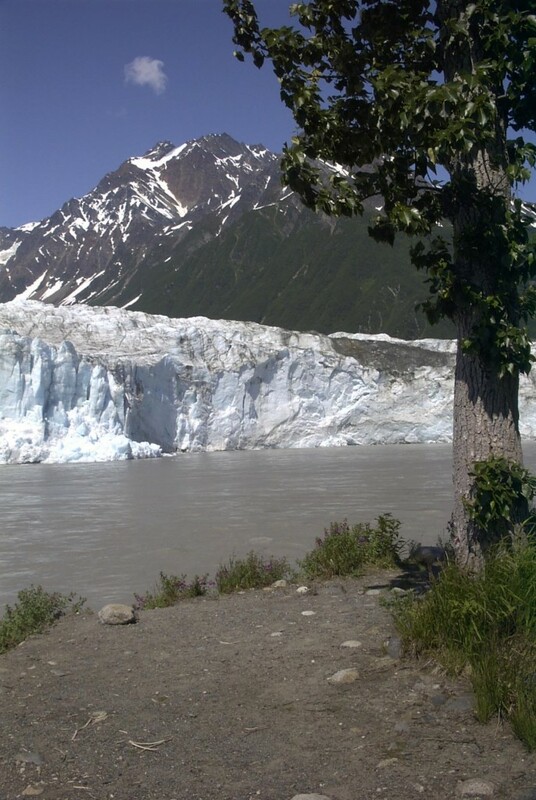 Allen also stated that the view from this village was “one of the finest views I have ever seen.” It is no wonder with the majestic peaks of the Wrangell Mountains to the east and north, and the Chugach Range to the south. Several of these peaks bear names given them by Lieutenant Allen such as Blackburn and Drum. From this point, traveling without the bidarka, it was necessary to pack everything. Each man of the party carried a load, as did the dogs. It was going to be a long trek over the Alaska Range to the headwaters of the Tanana, and the dogs proved valuable. On 3 June, they approached the camp of the Tyone Batzulenta, a man of six feet four inches, the tallest they had seen on their journey. Their guide had gone ahead to announce their approach, and on nearing the village, the customary salute of gunfire was exchanged. Here they were greeted by over fifty natives, many of whom were from the Tanana River. Significantly, they were awaiting the salmon run here rather than at their homes. Eager for the salmon to arrive, the natives checked the creek frequently. On 4 June, as Allen’s party departed for Lake Suslota, the first salmon appeared, signaling the end of hunger for the natives whose supply of dried salmon was almost gone. Later that day, the expedition reached Lake Suslota, which Allen described as ending the Copper River part of their journey and beginning the Tanana River exploration. By this time they had been on the trail for two-and-a-half months, covering some 500 miles of very tough country, at least 250 of which had never before been explored—or at least had never been reported on—all this while enduring severe hardships. Now they began the next leg of their journey. From Lake Suslota until they approached within 100 miles of the Yukon, they would be passing through land unexplored by white men. On 5 June, the party began its ascent of the mountains on a north easterly heading that they would follow until descending the other side at the headwaters of the Tanana River. After a march of a few miles, the salmon appeared in the small stream next to their trail. These fish had traveled hundreds of miles from the mouth of the Copper River and now they were at the end of their journey at the very top of the drainage. Here they would spawn. The arrival of the fish was a source of delight as it provided one of the few occasions where everyone was able to eat until full. At 0130 on 8 June, Allen stood on a divide after completing the steepest ascent of the expedition: “From this the most grateful sight it has ever been my fortune to witness was presented. The sun was rising, but not in the east, in fact just two points east of north. We had nearly reached the ‘land of the midnight sun.” From this divide, they could see the river valley below covered with numerous lakes and knew the worst was over. They had crossed the Alaska Range, a feat that had been thought impossible, and while the crossing had been difficult, they had discovered that the range was not as lofty in this area as previously thought. Now they were looking at the headwaters of the Tanana River. These waters flowed all the way to the Yukon River and then on to the sea some 800 miles downstream. From here they descended to the valley reaching Nandell’s camp on 10 June. Allen stated that had the village been thirty miles further with game remaining scarce, the party would have suffered incalculable injury due to hunger. It is difficult to imagine just how much worse it could get. The men were exhausted and showing the effects of malnutrition— both John Bremner and Sergeant Robertson exhibited symptoms of scurvy. The use of acetic acid as an anti-scorbutic had no apparent effect. On 12 June, the men left Nandell’s and traveled to Tetling’s camp, arriving in the afternoon. Here they had a bidarka built for the trip down the Tanana. Allen was anxious to get started as soon as possible, being worried about the health of his men and the continuing shortage of food. This lack of food had, in fact, caused him to forgo sending part of the expedition overland to the Yukon River, electing instead to take everyone down the Tanana to the Yukon in the shortest time possible. He hoped to find food and medical care at Nuklukyet near the junction of the Tanana and Yukon Rivers. 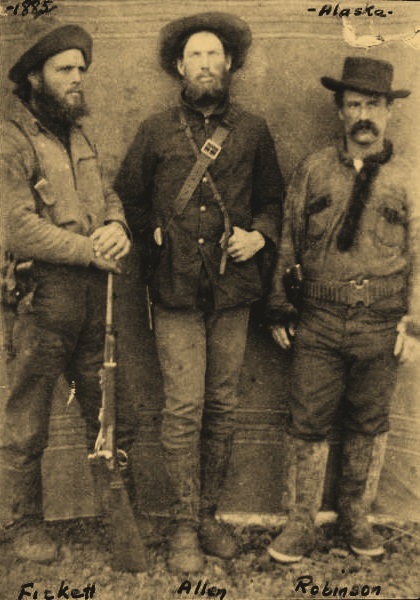 In order to obtain as much food as possible for the trip downriver, Allen and his men traded everything they had except the clothes on their backs. As Allen said, “The men of the party volunteered to give up everything in their position, even coats, shirts, pocket-knives, etc.” Even though this did not result in much food for the expedition, it was all that the natives could spare and left them with little for themselves. Everyone must now have waited anxiously for the salmon runs to reach this far up river. Allen and his men departed Tetling’s camp on 14 June accompanied by their three dogs and two natives. As they traveled down the Tanana River, heavy smoke blanketed the country. It turned out that this was the result of fires that had been set to announce their progress, and the fires spread into the surrounding timber. Upon reaching the prearranged departure point near present day Tok, the natives accompanying them left and returned to Nandell’s village. Allen’s party continued down river a few more miles before making camp. This was in the area controlled by the Tyone Kheeltat. Both Nandell and Tetling had repeatedly warned Allen to avoid this warlike man, but his orders were in part to assess the native threat. He considered it a vital part of his mission to determine Kheeltat’s disposition towards the government and encroaching whites. Allen also determined that the danger here was no greater than what they had already faced. Shortly after making camp, the party received visitors from the Tyone. Allen was invited to go to Kheeltat’s house to meet with him. After traveling for a couple of hours, Allen and Fickett reached Kheeltat’s where they were not greeted with the customary salute of gunfire, which Allen found disturbing. After a short nap, Allen and Fickett awoke to a house full of Kheeltat’s people who had been summoned to meet the soldiers. They appeared to have no real interest in Allen’s mission, but had heard he was a medicine man and were anxious to benefit from his skill. Allen notes that there was a consumptive look about them with much coughing. Even though he had no medicines that would be of any use treating their illness he felt compelled to administer some sort of aid. He had three types of pills: quinine, an Army purgative, and an Army anti-purgative. The dispensing of these pills was according to social standing with the chief getting one of each, the sub-chiefs one each of two, and the rest getting a single pill. The party resumed its journey in the morning. From here to the Yukon, they would have no native guides, having tried unsuccessfully to enlist the aid of two of Kheeltat’s people. On their own, they would float down the river dealing with rapids, braided channels, and hordes of mosquitoes, making good time, as much as fifty miles a day. On 25 June, Allen and his party reached the Yukon River. Here they expected to find food and shelter at the trading post of Nuklukyet. They found shelter but precious little food as the river steamers had not yet arrived. They were reduced to eating salmon fried in machine oil, some beans, and whatever they could make from the limited store of flour, much of which had been given them by two prospectors. 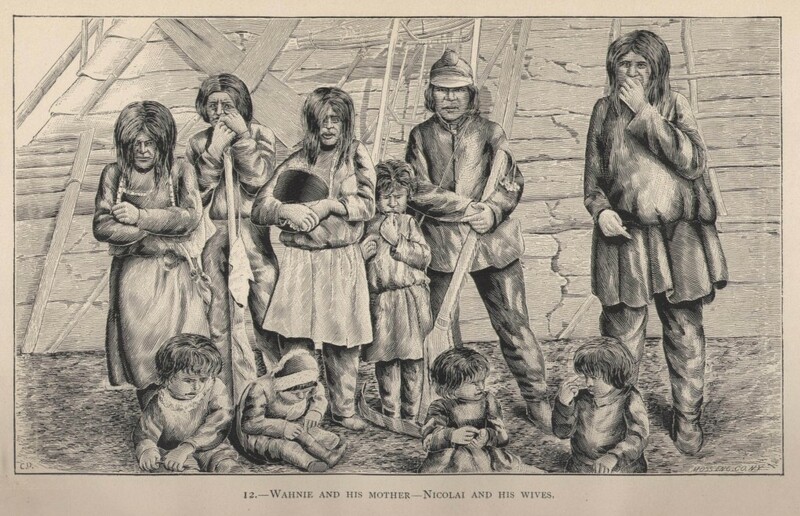 By this time, John Bremner and Sergeant Robertson were seriously ill.
Summer brought many natives to Nuklukyet. 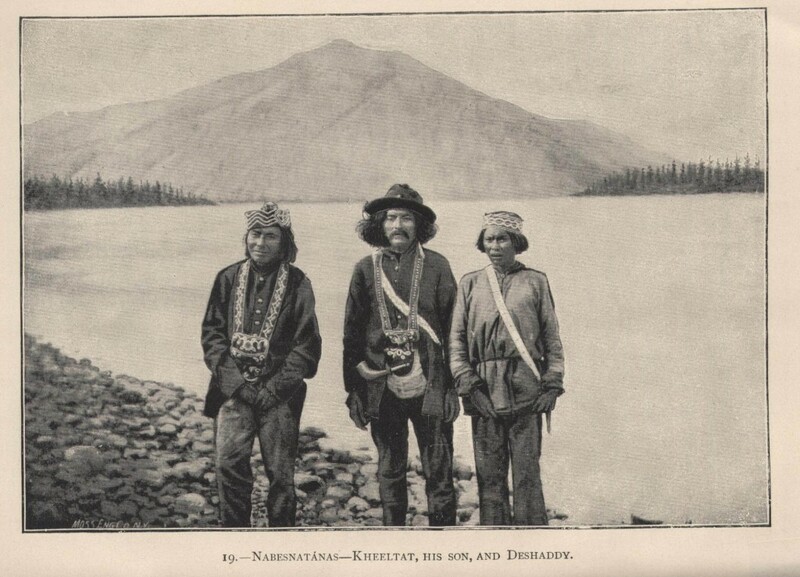 They came from the Tanana, Fort Yukon, and the Koyukuk to trade and socialize. On 4 July, a large party was held with much firing of salutes and dancing well into the night. Desperate for the supplies he needed for his sick men, Lieutenant Allen acquired a canoe and headed down river on 11 July to find the steamboats. He was accompanied by a miner, Joseph La Due, and the local Tyone’s son. On their descent of the river, they were able to obtain food from native villages along the way, including fish, berries, and flour. Allen credited this and the exertion of the trip with staving off the scurvy which was racking his command in Nuklukyet. Since many of the wild berries in Alaska contain high levels of vitamin C, it is likely they were the anti-scorbutic he needed. Four days later, after traveling well over 200 miles, Allen and his two companions met up with the steamers. They arrived in Nuklukyet on 26 July, finding John Bremner and Sergeant Robertson in “critical condition” with Pete Johnson and Private Fickett not much better. The diet of wholesome food soon had the desired effect, and the team began to recover. On 28 July, Lieutenant Allen, Private Fickett, and a few natives departed the north bank of the Yukon on a portage of more than 100 miles, once again heading into unknown country. 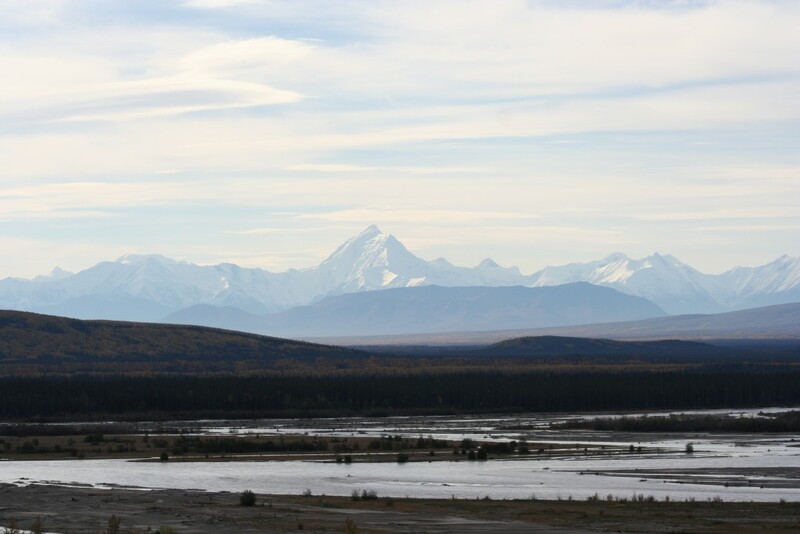 Exploring the Koyukuk River was the object of this journey. The portage over the “Yukon Mountains” between the present day Ray Mountains and Kokrines Hills provided some new problems. Their food supply was much better and the climb was not as steep or high, but the footing was sometimes bad, the insects were the worst seen so far, and the heat was “as is felt almost as much as it is in the Middle States.” In spite of this, or perhaps because of it, they made the trip of 120 miles in six and a half days, arriving on the banks of the Koyukuk on 3 August. Having purchased two canoes, Allen, Fickett, the native guides, and a native family they met on the river proceeded up stream. They poled their canoes close to the bank, taking advantage of slack water in what otherwise was a swift current. Allen commented about the extreme fluctuation in stream height, with overnight changes as high as eighteen inches. He attributed this to rainfall runoff due to the saturated nature of the ground and the shallow depth to permafrost. On 9 August, after a trip of eighty miles, they reached the mouth of the Fickett River, now the John River, where the town of Bettles sits today. After exploring a short distance up the John, climbing Lookout Mountain to gain a better view and having been told there were no Indian villages further up the Koyukuk, Lieutenant Allen determined to make this the high-water mark of his exploration. They were now heading back downriver to rendezvous with the steamer and eventual passage to the states. They still had to float more than 500 miles on the Koyukuk, over 300 miles of which had never been explored. They did not know what to expect. Was the Koyukuk to remain a fairly gentle float or were there rapids and falls to contend with? As it turned out, the trip down river was uneventful, the days filled with floating downstream while Lieutenant Allen mapped the river and Private Fickett recorded meteorological data. The plan was to meet the steamboat at Nulato on the Yukon just downstream from the Koyukuk. As it turned out, the steamer had left several hours before their arrival, thus ending their chance for a leisurely passage to St. Michaels. As it stood now, they would have to float about seventy-five miles down the Yukon and then portage overland some twenty miles to the Unalakleet River, which they would follow to the coast where they hoped to secure help in getting to St. Michaels. As Allen was not sure how long the revenue cutter Corwin would remain at St. Michaels, he was in a hurry to get there to avoid having to winter over. The party of the two explorers and a single native left Nulato on 22 August and arrived at the jump off point of their portage on 23 August after having recruited more help. They marched over the hills to the Unalakleet and had reached the mouth of the river by 27 August. Here they acquired a well-worn bidarka and the services of two local “Mahlemutes” or Inupiats to continue to St. Michaels. Before they were underway, another bidarka arrived from St. Michaels having been sent for them by Mr. Lorentz of the Alaska Commercial Company. They arrived in St. Michaels on 30 August, met the Corwin, and departed for the States on 5 September. Allen’s report includes the maps he produced of the expedition, along with tables of distances and Fickett’s meteorological records and descriptions of geology, natives, and animals. His insight into the natives’ culture, economy, and social organization provided a wealth of information on largely unexplored American territory. An interesting note in his description of Alaska’s animals is that they saw no moose, caribou, or brown bears on this trip, and only one small black bear. The Army members of this expedition continued to exhibit the traits that stood them in good stead during this expedition. 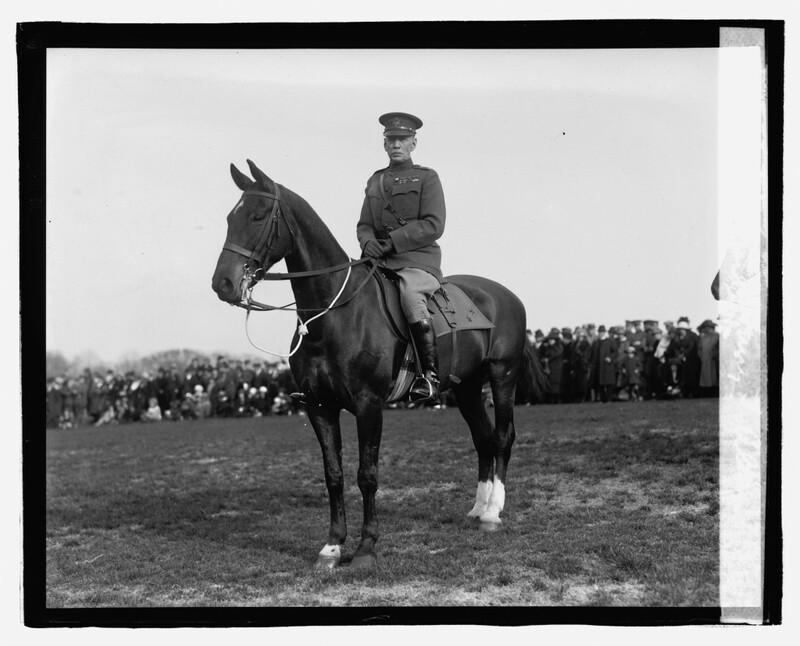 After a varied and successful career, Henry T. Allen retired from the Army in 1923 as a major general after commanding the American occupation forces in Germany after World War I. Cady Robertson retired from the Army as an ordnance sergeant at Benicia Barracks. California in 1903, and Fred Fickett left the Army as a corporal in 1890 and eventually settled in Tucson, Arizona, where he served as a community leader and attorney. Not much is known of the two prospectors after they left the expedition. It is known that they searched for gold in the Arctic and found some, possibly along the Koyukuk. The eventual fate of Pete Johnson is unknown, but records indicate that John Bremner was killed by Indians near present day Wiseman. Allen and his team had traversed some of the most inhospitable country in North America. They had done it while suffering from hunger and fatigue, still managing to gather important information about the area and its inhabitants. The data brought back by this expedition represents the first documented description of this vast area and removed the veil of mystery and rumor from a large part of Alaska’s interior.